The State of Rhode Island would like to welcome you to the Land Records page. This page provides you with quick access to the municipalities which have their land records available online. If a municipality does not have land records available online, the tax assessor’s or revaluation website is available for the ability to see some information relating to a property. If you’d like to see your municipality’s land records online, we encourage you to speak directly to that municipality. For questions regarding the use of each municipalities sites, please contact the Town/City Clerk directly. For general questions about this particular page, please contact the Client Services Department at the RI Commerce Corporation at 401-278-9100 or email info@commerceri.com. 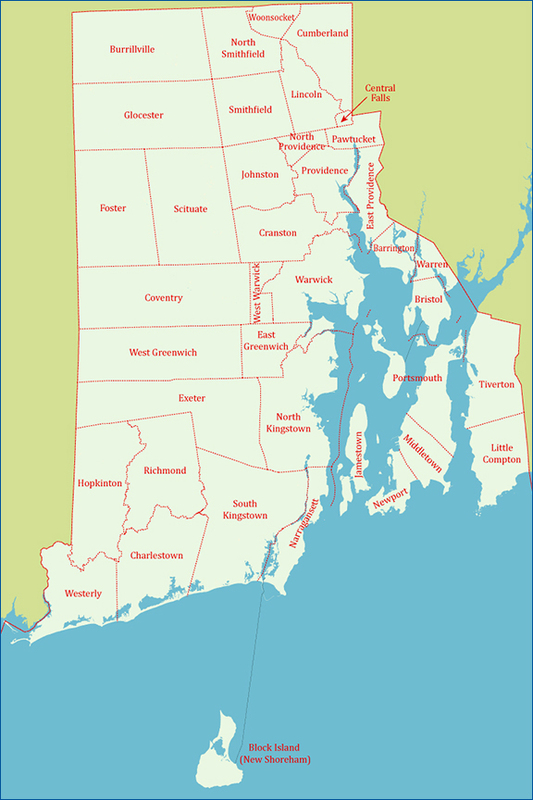 Rhode Island is divided up into 39 different municipalities with a Town/City Clerk responsible for each office. Documents related to the ownership of real estate within the district are recorded at each individual municipality. Recorded documents are assigned a sequential identifying number (known as the book and page number) and are then scanned into the municipality’s computer system. Images are maintained by each municipality but not all are available for review online. Please contact the Town/City Clerk in your municipality for more detailed information. 25Municipalities have Land Evidence records online. 0 Municipalities allow for E-recording.